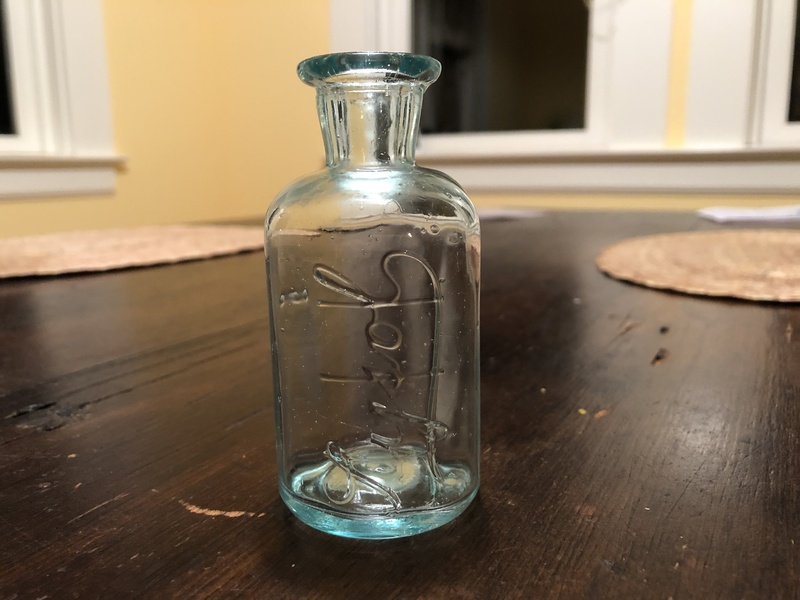 Hello, I just acquired this aqua glass Lysol bottle and can't find any like it on Ebay or google images. I was wondering if any of you have seen one like it and how old and how common or scarce it is. 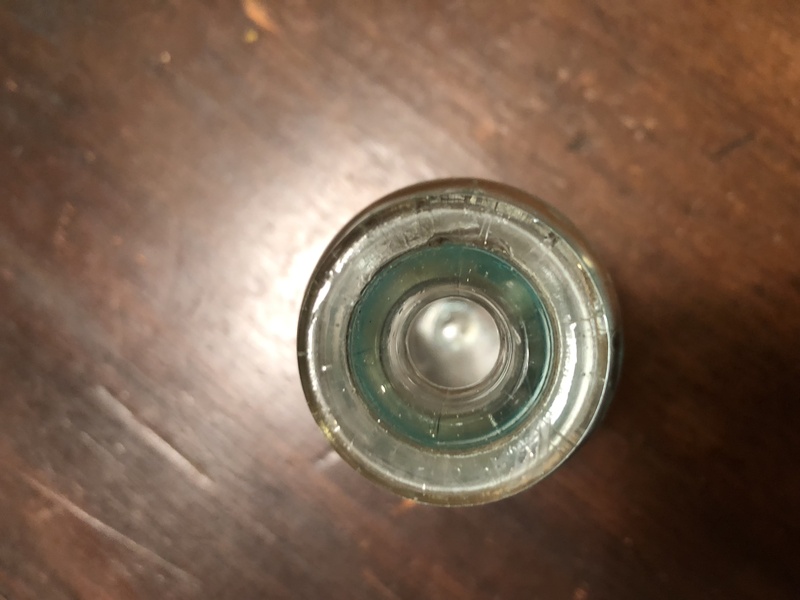 It has no markings on the bottom, is 3 7/8 inches tall and is aqua. It says Lysol in vertical script. The mold line goes all the way up to the lip. 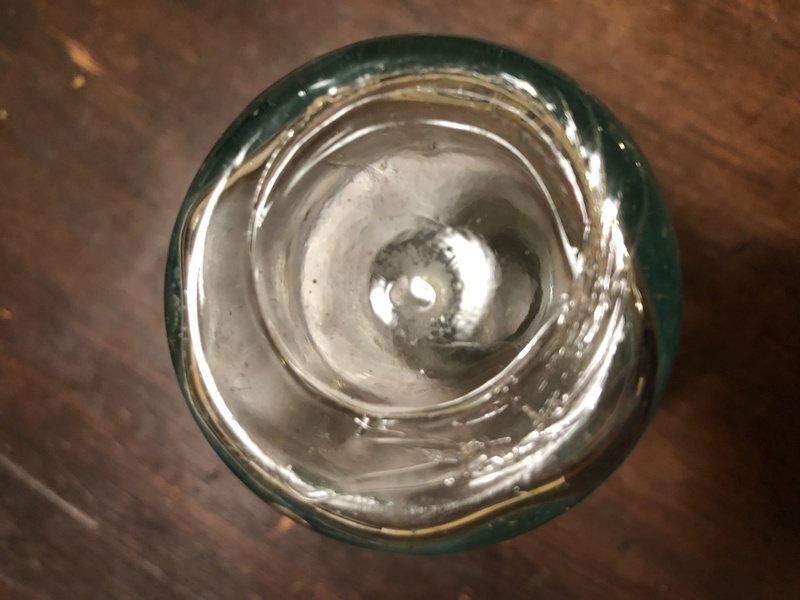 I've added photos of the lip and bottom, and an additional photo of the bottle since it had water in it in the first photo. 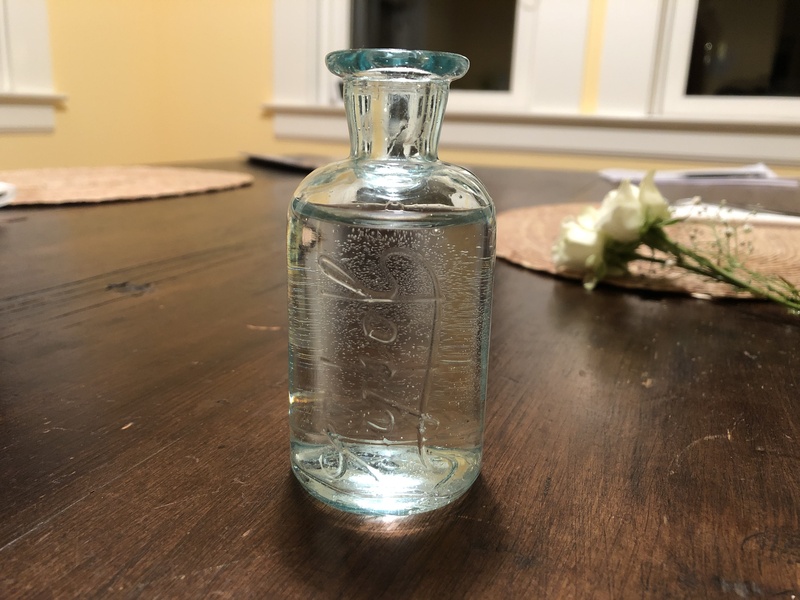 According to the Lysol website, the product has its origin in the 19-teens and your bottle could very well be one of the earliest examples. Thank you, Chris! That's exciting!